Football aficionados are counting down for their favorite day yet ---Super Bowl! With the big game night just around the corner ---where the Broncos and Panthers will go head-to-head for this year's trophy--- many fans are preparing their Super Bowl festivities and are ready to watch the game live on television or on the Internet. 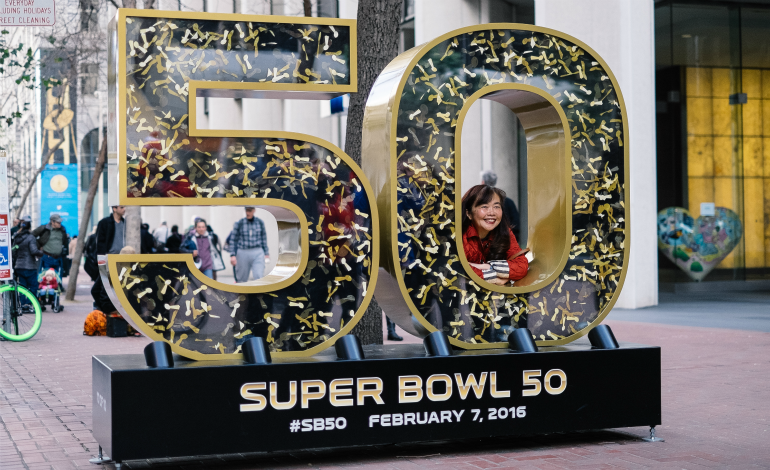 Here's all the information you need to know about Super Bowl 50 that will kick off at 6:30 p.m. ET Sunday, February 7 at Levi's Stadium in Santa Clara, Calif.
Lady Gaga has been invited to sing The Star-Spangled Banner ahead of the Broncos vs. Panthers game. Academy Award winner Marlee Matlin will perform the anthem in sign language for the hearing impaired. Who will perform the Super Bowl 50 Halftime Show? Coldplay with headline the reputed event. The British rock band will be joined by Beyonce. The two artists recently collaborated on a pair of songs -- "Hymn for the Weekend" and "Up and Up" for Coldplay's new album. Super Bowl 50 Party Ideas: 50 Fun & Simple Ways To Celebrate The Big Game!